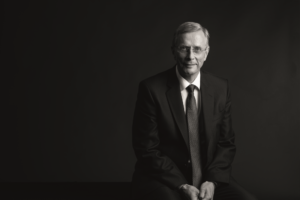 Read the latest news on Langtree, its joint ventures and partnerships here. 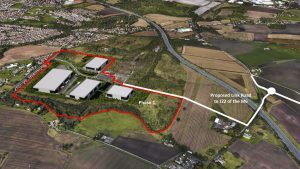 A planning application has been submitted for the construction of a new state-of-the-art bus depot on Dallam Lane in Warrington. 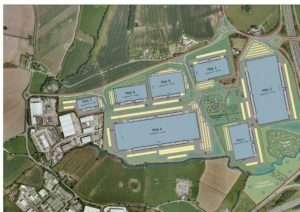 Langtree and Panattoni have submitted a planning application to develop a major new employment site in south Warrington that will create around 4,100 new high-quality logistics jobs. The former home of Warrington RLFC at Wilderspool is to be redeveloped for new family homes following the granting of planning permission. 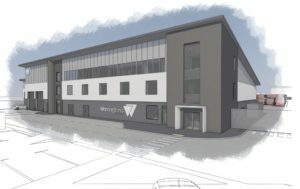 Wire Regeneration’s thriving St James Business Centre in Warrington has confirmed seven new lettings. Warrington RLFC’s former Wilderspool home, which closed in 2003, will provide 160 new homes and will be named in honour of Brian Bevan, Warrington’s all-conquering Australian winger who scored a world record 796 tries in a career spanning 22 years. 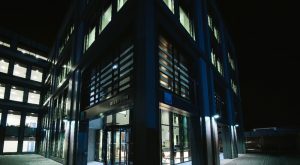 Langtree has let two of the final remaining units in Yorkshire, which forms part of a portfolio it manages on behalf of an institutional client. 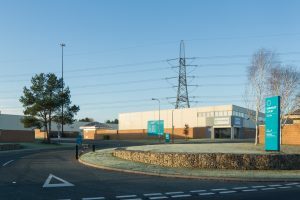 Exciting £35 million plans to deliver 30-acres of employment space, community leisure and housing in Hollinwood have moved a step closer with work to dismantle a redundant gasholder on the site set to begin. 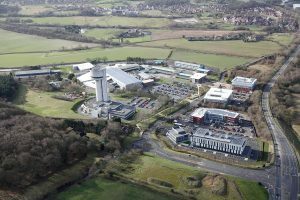 Business is booming for companies based at Sci-Tech Daresbury following another year of strong growth, according to data revealed in the annual tenants’ campus survey. Langtree has announced it has completed on its deal with retail and forecourt operator Euro Garages for a £2m investment at its Hollinwood Junction scheme on the M60 following granting of planning permission. 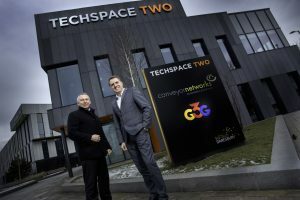 An international leading–edge company, G3G, has chosen Sci-Tech Daresbury as its Northern UK base. 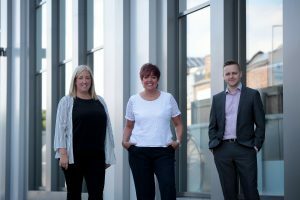 The team at Warrington’s St James Business Centre are celebrating a lettings boost as four new tenants completed office moves in the first month of the year, along with two existing tenant expansions. 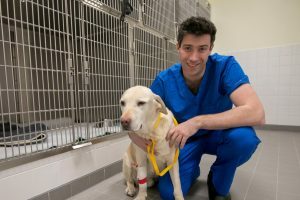 A new kind of surgical referral centre aiming to be the UKs leading provider of specialist care for pets has opened its high-tech animal hospital at Orbital Industry Park in South Leeds. Langtree says its long-term strategy of revitalising tired industrial estates continues to pay off as it announces the letting of 9,000 sq ft of space in Salford. 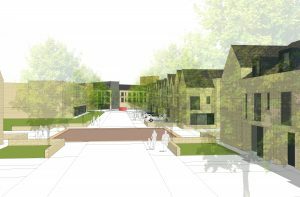 Parkside Regeneration Ltd has confirmed that it will be submitting a planning application today, 16th January, for the first phase of redevelopment of the former Parkside colliery in Newton-le-Willows. 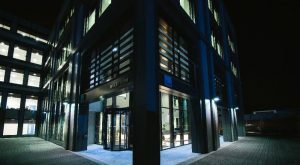 A trio of lettings to tech companies at The Base has recently been announced. 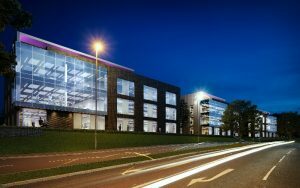 Sci-Tech Daresbury has submitted a planning application for the speculative development of a new 42,000 sq ft grade A office complex. 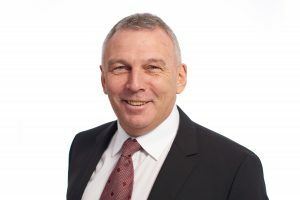 Langtree has announced a £2.1m annual profit in its second full year of operation since a buyout led by group managing director John Downes. 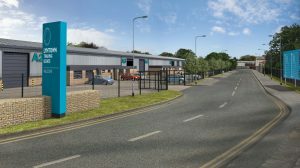 Langtree has announced it has completed a deal with retail and forecourt operator Euro Garages for the first plot to be developed at its Hollinwood Junction scheme. 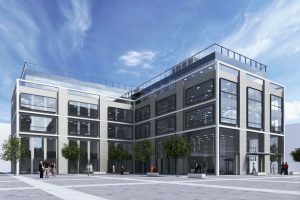 The Base, Warrington’s grade A office hub for advanced manufacturing and engineering businesses has signed up five new tenants. 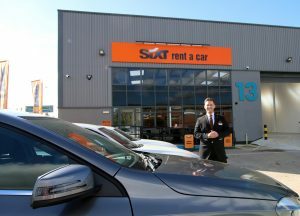 Sixt, the global car hire specialist, has taken a 10-year lease on a 9,000 sq ft unit at Orbital Industry Park in South Leeds. 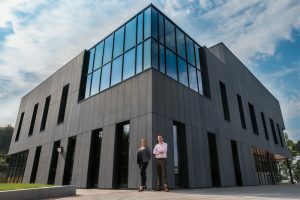 An international leading–edge technology company has chosen Sci-Tech Daresbury as its scientific base in the UK. 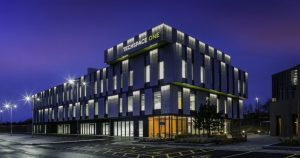 A leading pharmacy automation company has become the first tenant in the new flagship Techspace One building at Sci-Tech Daresbury. 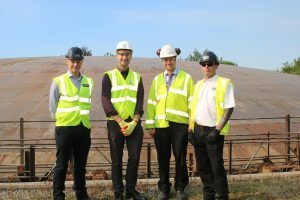 Oldham Council and developer Langtree are ready to bring forward the Hollinwood Junction project that will see 760 new jobs created and the removal of a large redundant gas holder that has blighted the area for many years. 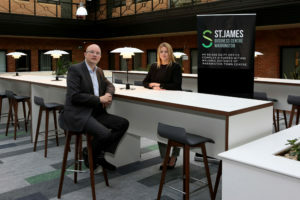 Warrington’s St James Business Centre is now more than 70 per cent let following its latest tenant deals. 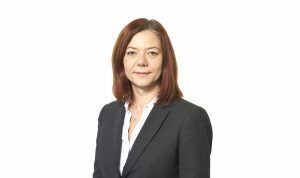 The National Skills Academy for Nuclear (NSAN), which is tasked with addressing the skills challenges facing the UK’s nuclear industry, has signed a three-year lease at The Base in Warrington. 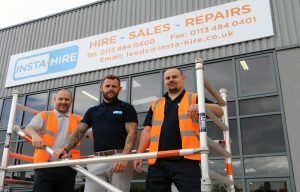 Langtree has let the first unit at Orbital Industry Park in south Leeds since its multi-million pound refurbishment. 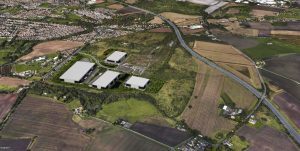 Developers behind the proposed regeneration of the redundant colliery at Parkside in Newton-le-Willows have confirmed that they will be submitting a planning application in Summer 2017 for the first phase of the site’s redevelopment. 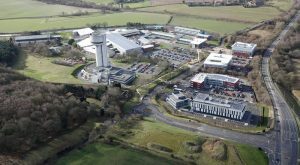 Companies based at Sci-Tech Daresbury, have enjoyed a successful year according to the latest annual survey. 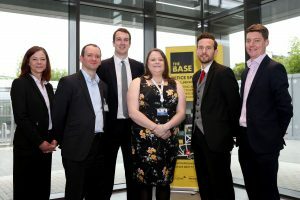 Five leading advisory and training businesses have signed up to a partnership agreement with The Base in Warrington to help its high-growth tenants maximise their potential. 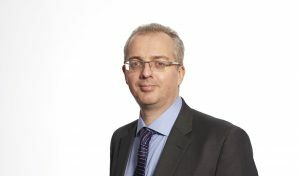 Cheshire and Warrington Local Enterprise Partnership (LEP), the organisation responsible for setting the strategic direction for the Cheshire and Warrington economy, has announced the appointment of John Downes, Group Managing Director of Langtree, to its Board. 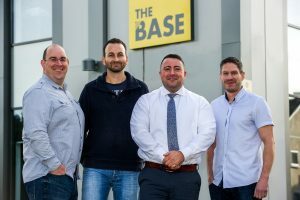 Warrington’s Grade A advanced manufacturing and engineering hub, The Base on Dallam Lane, has secured three new tenants. 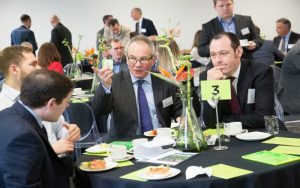 Sci-Tech Daresbury’s latest state-of-the-art facility has been officially launched at a breakfast event to showcase its high specification capabilities. 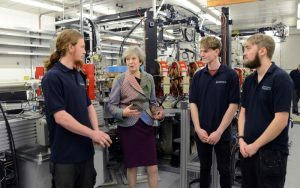 The Prime Minister Theresa May and her Cabinet colleagues visited Sci-Tech Daresbury today to see our world-leading science and innovation and support for UK industry. 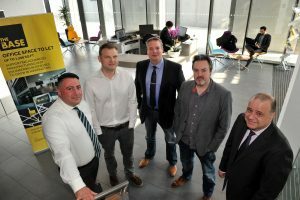 Leading technology innovators from the Warrington area are flocking to join a new networking platform called BaseConnect, which operates from The Base in Dallam Lane, a 50,000 sq ft grade A home for SMEs. 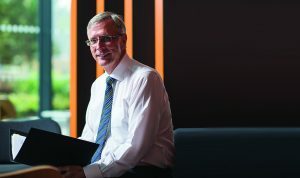 Langtree, the property development and management business has reported a strong first year’s financial results. 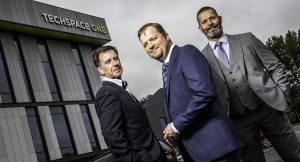 Two new tenants have signed up for space at The Base in Warrington, the new office building which supports the growth of advanced manufacturing and engineering businesses and their supply chains. 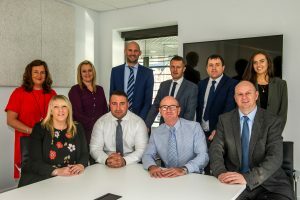 The work/life balance of staff at Wire Regeneration’s St James Business Centre in Warrington is about to get somewhat easier with news of the busy centre’s latest letting. 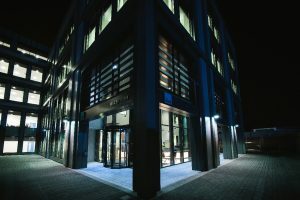 A leading software and automation solutions provider has become the first tenant in a landmark development at a flagship UK Enterprise Zone. 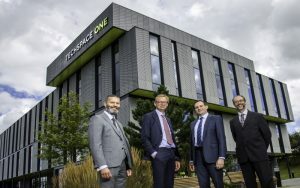 Two new tenants have signed up for space at The Base in Warrington, the enterprise hub which supports the growth of advanced manufacturing and engineering businesses and their supply chains. 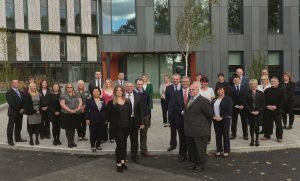 Warrington, which leads the north west in company formation, is to get a new enterprise champion as it pushes its growth agenda. The top finance directors of Liverpool City Region, Cheshire and North Wales were honoured at the Finance Director of the Year awards gala at the Crowne Plaza Hotel, Liverpool. 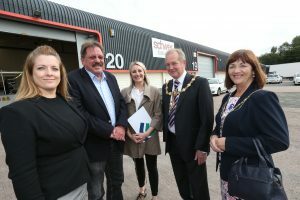 Cllr Geoff Settle, the mayor of Warrington, this week marked the completion of a successful £270,000 refurbishment of Wharf Industrial Estate. 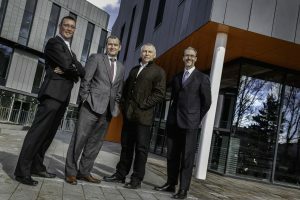 Regeneration partnership Warrington & Co has appointed Langtree, the commercial property management, investment and development company formed in a management buy-out led by John Downes, to manage a flagship £8.5m business incubator.